Illustration for a course on graphic narrative. 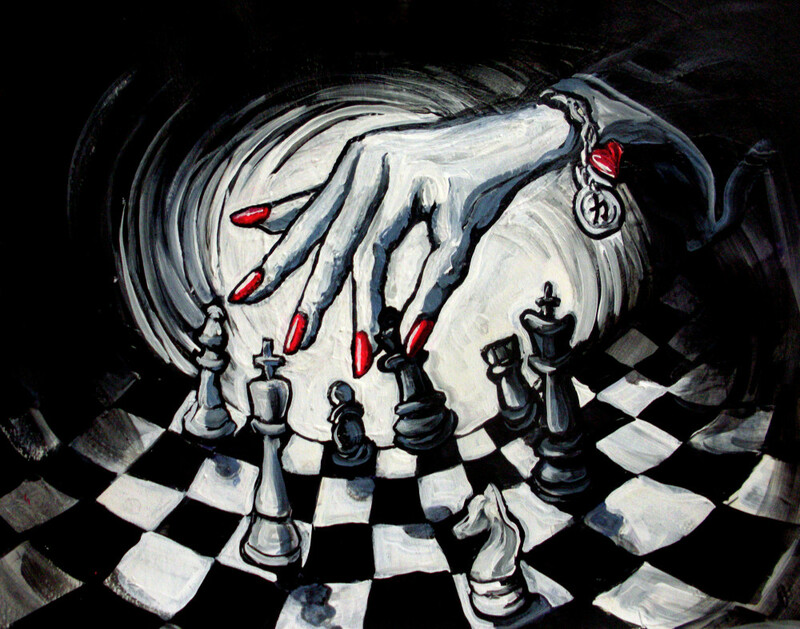 The request was for an image using a chess board that told a story. I don’t know how to play chess, so I used a stock image as a painting reference but then I haphazardly moved pieces around to space them out aesthetically. I added dragon-lady red nails and made the image a little ominous. The charm on the player’s bracelet is a Chinese character that means “Fate” or “Suspense”.